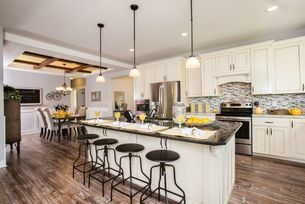 Long known for innovative designs, outstanding customer satisfaction, and a loyal dealer and builder network, R-Anell Homes has been in the business of building the American dream, producing a higher quality home at an affordable price. From the first time home buyer, to the established family, to the empty nester, R-Anell has homes and designs to satisfy any lifestyle. Browse the hundreds of beautiful R-Anell floor plans below, then let us help you customize it to fit YOUR dream home!